More than 5 lakh road accidents were reported in India in the year 2015 according to a report released recently. 21% of these accidents involved those without a regular license while 20% of the accidents were head on collisions. The Road Accidents in India 2015 was released recently by the Minister of Road Transport & Highways (MoRTH), Shri Nitin Gadkari. The total number of road accidents in the country increased by 2.5% from 489400 in 2014 to 501423 in 2015. The number of persons killed in road accidents increased by 4.6% from 139671 in 2014 to 146133 to 2015. The severity of road accidents, measured in terms of number of persons killed per 100 accidents has increased from 28.5 in 2014 to 29.1 in 2015. Out of the 5 lakh odd accidents across the country, close to 4 lakh of them involved people with a regular license while the rest involved those with a learner’s license or without a license. In other words, 1 out of every 5 accidents involved those without a regular license. Out of the accidents that involved persons without a license, 25% occurred in Madhya Pradesh and 17% in Uttar Pradesh. Not a single case of accident was reported in Assam and Nagaland where those without license were involved. Out of the 5 lakh odd accidents, close to a lakh (~ 20%) were by head on collision. Rear end collision resulted in 11.5% of the accidents and 13.9% of the accidents were by overturning. 11.4% of the accident cases were of hit and run nature. Skidding, right angled collision and side brush resulted in about 5% of the accidents each. Most head on collisions occurred in Kerala & Madhya Pradesh (more than 16000 in each state). Tamil Nadu also had more than 15000 head on collisions while Maharashtra had close to 10000 head on collisions. Close to 18% of all the hit and run cases were reported in Maharashtra followed by 9% in Rajasthan. Fault of the driver resulted in 77% of all the accidents. The next in the list of causes was fault of the driver of the other vehicle (4.9%). Defect in road conditions resulted in 7314 accidents (1.5%). Defect in the motor vehicle condition resulted in 11601 accidents (2.3%). 1534 accidents (0.3%) were caused by stray animals and about 1.1% due to poor light. Madhya Pradesh (27%) and Uttar Pradesh (20%) together account for close to 47% of all the accidents caused due to road conditions. Within the accidents that were caused due to the fault of the driver, 16298 were caused because of the intake of alcohol while bulk of them (240463) were caused because of over speeding. 2-Wheelers accounted for close to 29% of all the road accidents followed by Cars, Jeeps etc with 23.6%. 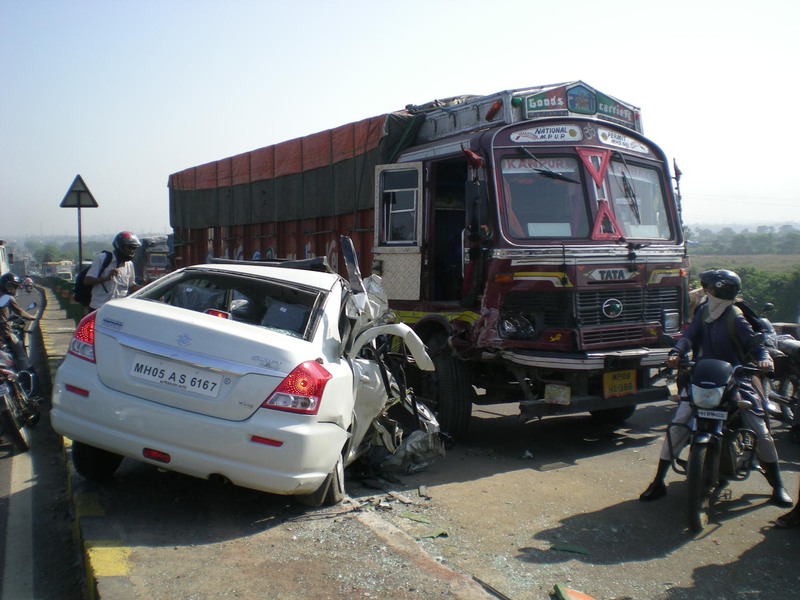 Trucks, Tempos and other such vehicles resulted in 19.6% of the accidents. Buses accounted for 8.3% and Auto-Rickshaws accounted for 6.1% of the accidents. The road accidents involving Trucks were more fatal as 25.6% of the all fatalities were from the accidents involving trucks while the percentage share of accidents is only 19.6%. Previous ArticleWhat is ‘Pradhan Mantri Ujjwala Yojana’?